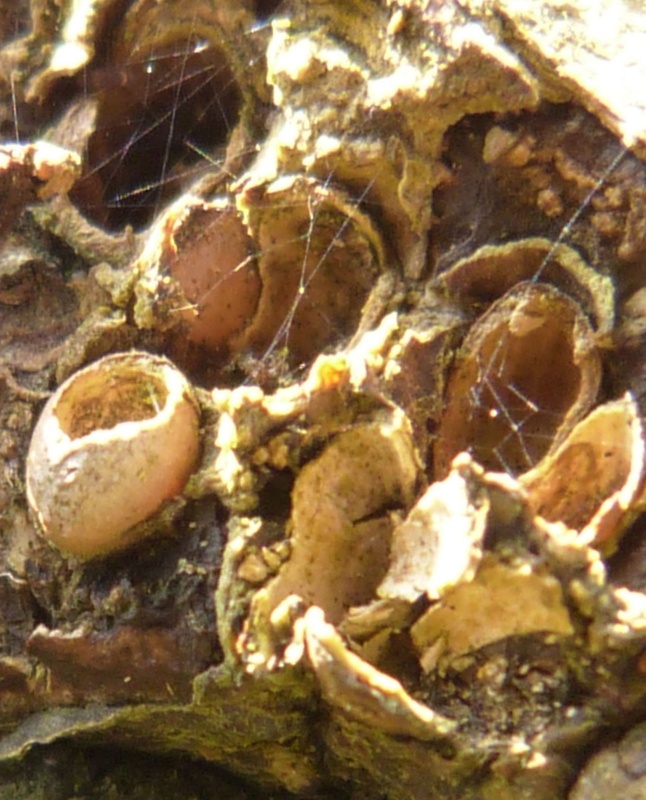 Andricus quercuscorticis is a gall wasp that causes galls on the trunks of English Oak (Quercus robur). 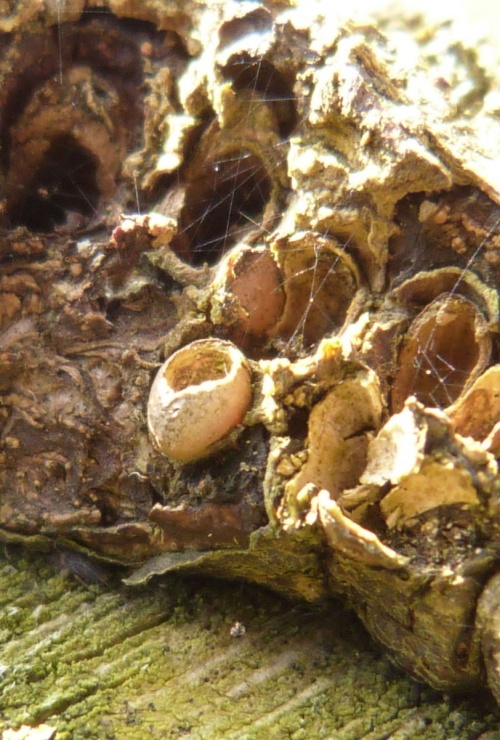 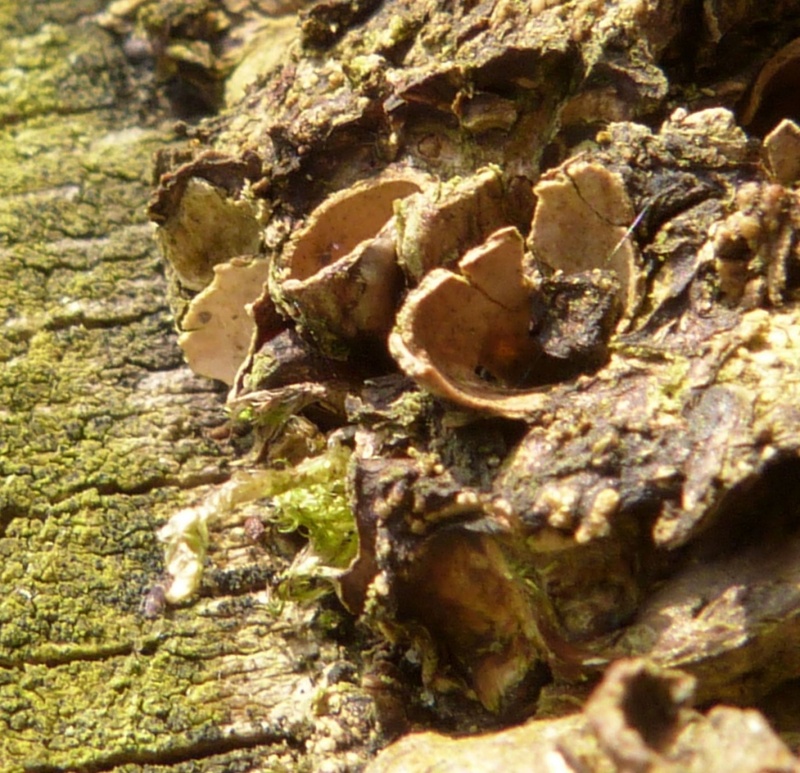 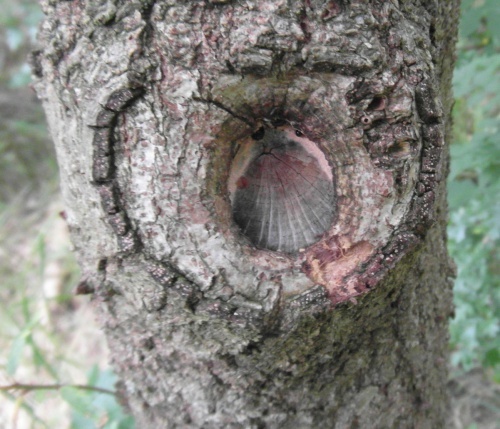 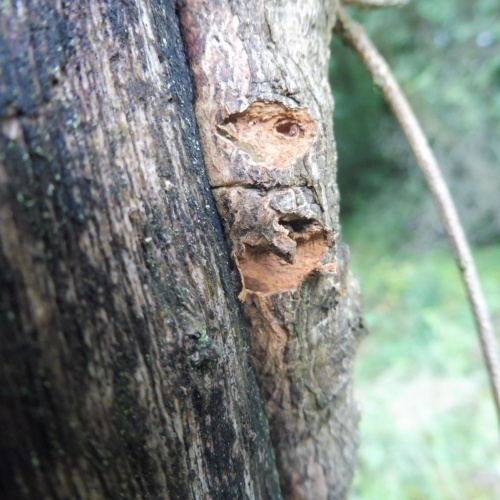 The galls are ovoid; they occur in clusters and are embedded in the bark, eventually only the empty sockets persisting. Where the host oak trees are found. 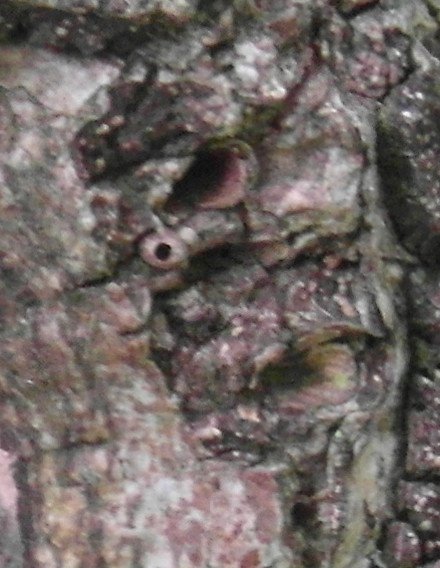 Galls form in May but the sockets persist. Widespread and may be locally frequent, but it is under recorded in Britain.